Black Panther: Stand up, you are a king. 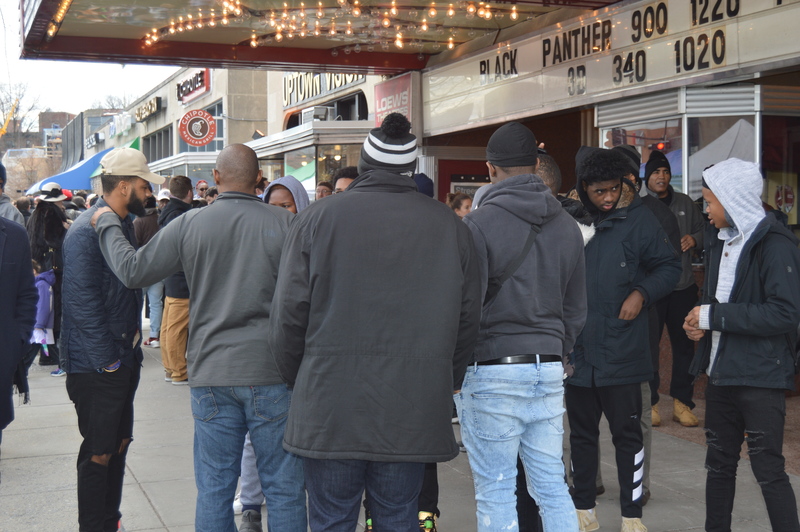 Saturday wasn’t just a movie trip for me, it was a “Black Panther” day! When I heard Marvel was doing “Black Panther” I was equally skeptical and optimistic. I’ve been conditioned to lower my expectations when a “black” movie comes out. American cinema rarely presents black men in my demographic; single, gainfully employed, heterosexual, tax paying, college educated, without a criminal background and no baby mothers. If there was a movie with a positive black male role in the script he definitely would be killed first or dressed like a woman the entire movie but hey, maybe that’s just me. The only “superhero” I remember was Blade and he was half vampire and Handi-man but well, you get my point. When I heard Ryan Coogler, director of Fruitvale Station and Creed, was the director, I was excited at the potential. Ryan’s projects tend to have a great balance between action and script. In his words, “I like to tell a good story” and regarding this movie, his statement, “most personal to date”, resonated with me. I purchased two fundraising tickets to WPFW’s screening almost immediately. Not only the directing showed promise but the lead actors: Chadwick Boseman from 42, Get On Up, Marshall, and Michael B. Jordan from Fruitvale Station, Creed, and Fantastic Four are actors I have started to give special attention. With a supporting cast of Angela Bassett, Forest Whitaker, Lupita Nyon, Daniel Kaluuya and Danai Gurira, you just can’t go wrong. I’ve not been this excited since “X” from Spike Lee. I wasn’t the only one because Disney-Marvel’s “Black Panther” set a new record for Fandango as the top seller among Marvel Cinematic Universe movies in the first 24 hours. 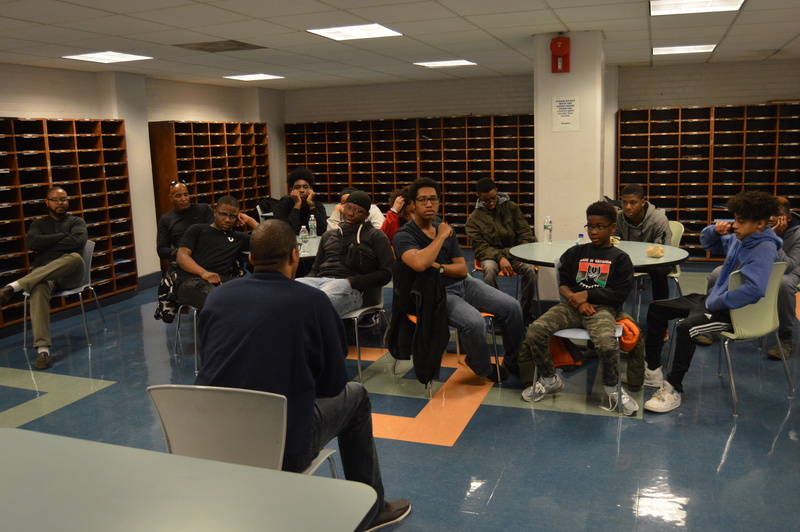 So when Dedan Bruner, President of the DC Chapter of Concerned Black Men asked me to accompany and support some mentors and mentee from their “Just Say Yes” program, I said, “Sure!”, that was before I knew we had to be at the movie theater at 8am, plus this was my chance to get an instant response from youngsters in the “middle passage”. Saturday is the day we take the boys to see Black Panther! Please read carefully. We will be attending the 9:00 am show (yes 9:00 am). Boys are arriving at 8:30, mentors should be there by 8:15. With all of the moving parts that day, no arrangements will be made for those who arrive late. Mentors will be needed there early to ensure the day goes smoothly. 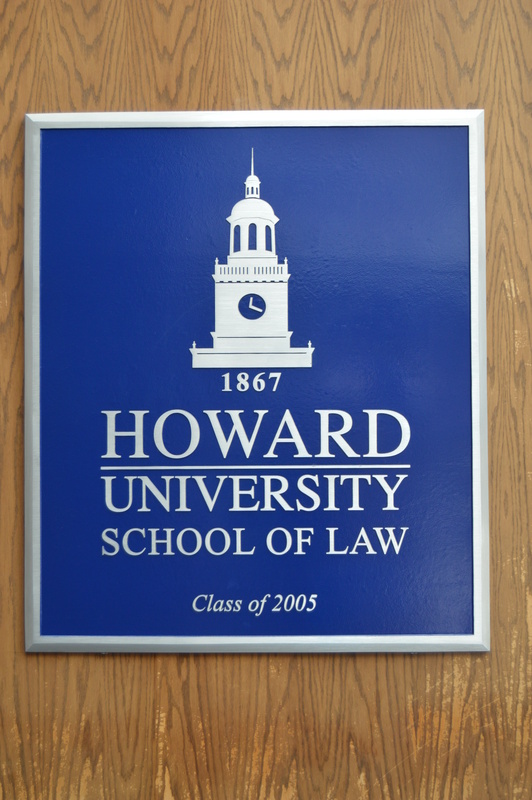 After the movie, we’ll head to Howard Law. (1/2 mile away). There we’ll reconvene, and have lunch and discuss the movie. After lunch, we’ll meet with the Law School Dean of Admissions and Student Affairs Reginald McGahee. He’ll talk about what he looks for in Law School candidates (it’s never too early). We’ll also hear from Iron Man Michael Shipp. Mike recently completed Iron Man Maryland. He’ll share his story and what it took to translate a achieve his goal of completing the 140.6-mile (2.4-mile swim, 112-mile bike, and 26.2-mile run) race. We talk a lot about goal setting. 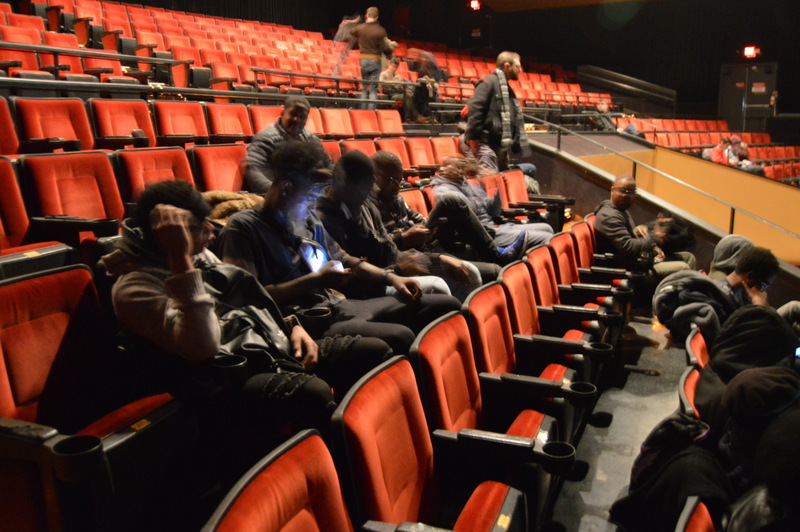 The idea behind this workshop is to show our boys extraordinary black representation on and off of the big screen. We want them to know that they can dream as big as they dare, but that they will also be accountable to those dreams. This movie didn’t disappoint. The movie had several messages and parallels. Many of the mentors and mentee recognized a beauty of a perceived Africa, the feminine presence, the “duality” of the hero and anti-hero. There wasn’t disposable black life, every death was a noble death. 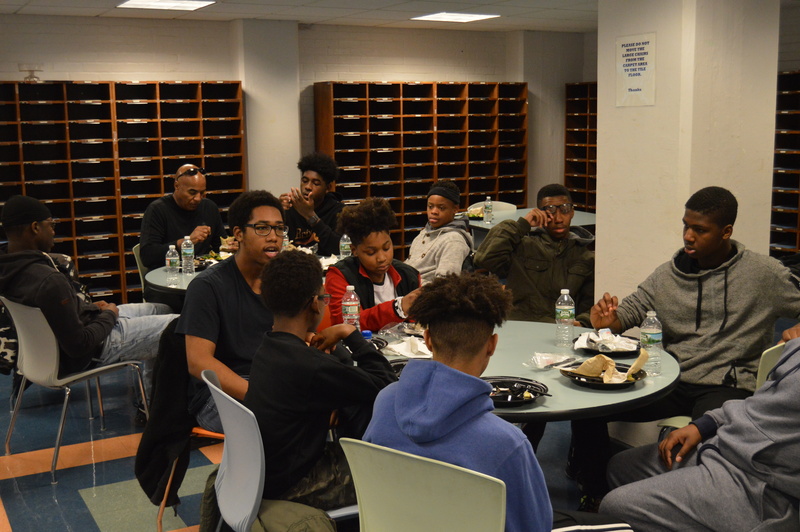 Most of the mentee aligned with the role of Michael B. Jordan, “Kill Monger”. Giving the parallels of the youth we serve and their backgrounds, that was interesting. Mentors were happy that the story didn’t take place in the “United States” and that there wasn’t some “white savior”. The entire group thought the women were amazing, their strength, beauty, and femininity…just badd in a good way. That night I attended a WPFW fundraising event. 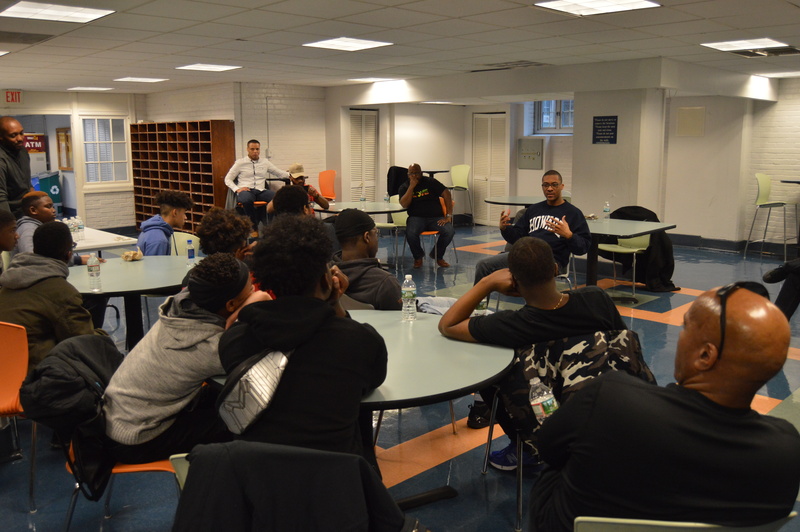 After the viewing, there was a more in-depth discussion relating to Pan-African subliminal topics and other controversial topics not readily appropriate for this audience. For me the discussion was a sort of wake up call to the other influences both subtle and obvious in the overall “Infinity Wars” plot. This movie showed women, beautiful darked skinned women, that weren’t prostitutes or crack addicts and black men that were noble and regal. There was love and emotions exhibited by black men and women that weren’t drawn to extremes. There was love without lust, and anger aligned to duty and not random violence. There was one moment of intimacy without it being sexual. There was a love of country and honor. There was a humor without losing the story and making it a comedy. This movie touched on real issues in our communities and reflected on the anger of our youth and our oppressive institutions. In a medium where the worst of black people is often magnified and endorsed, this movie showed our dignity without losing the authenticity of the story. Some people are making the movie more than a movie, I think it’s just a great story. These reactions, in my opinion, is just an indication that we’re starving to see movies that depict black people in such positives. It’s relevant imagery that we can identify and dialogue, but you gotta remember this was just a Disney-Marvel superhero movie. The presence of Howard in this activity and movie for me was overwhelming. 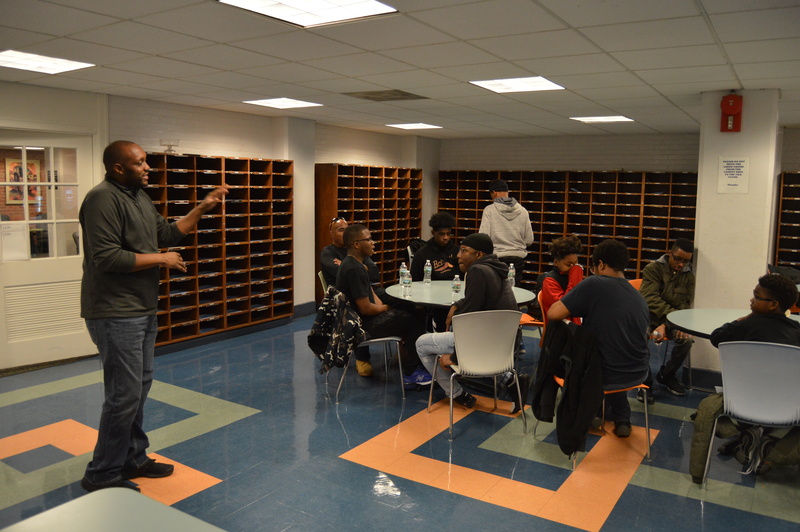 Dedan Bruner, Howard Law grad, is the President of the DC Chapter of Concerned Black Men, Inc. He, a volunteer, coordinated this entire activity. Reginald McGahee, is the Law School Dean of Admissions and Student Affairs. He talked at length about what he looks for in Law School candidates. He provided examples of evaluation criteria. Chadwick Boseman, the “Black Panther” applied to study directing at Howard. Ta-Nehisi Coates – a contemporary of Boseman’s at Howard coincidentally, was a writer of the Black Panther. Also, Boseman took extra acting classes to help improve his directing. One of his teachers was Phylicia Rashad, a Howard alum. Denzel Washington paid for Boseman. 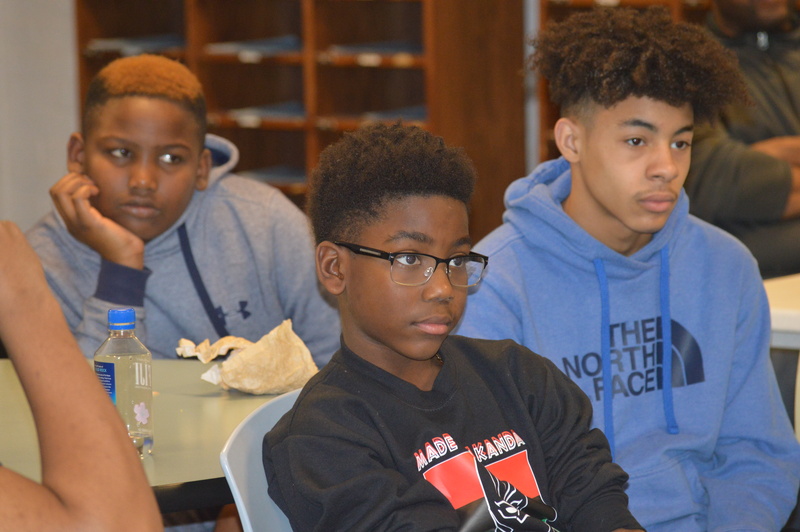 To help the DC Chapter of Concerned Black Men, Inc. continue positive activities for young black boys of color, please click this link: I want to support activities like this. Stand up, you are a king. You can comment publicly by clicking the link below. If life were a game of baseball, the Players would be the people or teams on the field. These are the ones that have sacrificed and practiced until they are the best that they can be. They generally do what they love and love what they do. They reap the rewards of their efforts. The players use their powers to make things happen. they reach within to that well of power that they have developed to get the desired results. The Players take the risks and get the rewards. Need a grand slam – Got a grand slam. The Watchers are the spectators sitting in the stands watching others play the game of life. Watching somebody else get the money, the recognition, and the girl. Everyone who is not on the playing field is a spectator. The Wonderers are the people in the parking lot outside the stadium where the game of life is being played. They hear the sounds of the players and the spectators, but they are not a part of the game. They know something is going on, but they must wonder what it is, since they can’t see. Wonderers learn about what’s going on secondhand. They live their lives responding to outside stimuli, and developing other peoples’ programs. they often see the world in terms of would have, could have, and should have. The Wanderers are the people who are lost on the dirt road to the freeway, to the parking lot, outside the game of life. they have no idea of what is going on, and no plans to find out. The Wanderers are like thistles in the wind. They blow from pillar to post, without goals, plans, or roots. Ruled by their addictions and their appetites, they live for the moment and nothing more. I like this passage not for the roles, we’ve all heard them before, but for the rationale that define each role. Which one are you, which one do you want to be? Every year we all commit to resolutions to make our lives better, eliminate bad habits, to be successful, etc. Every year we either fail or succeed and every year, without fail, we make the attempt. For me this year is different, the same in nature, but different. I’ve been thinking this way ever since I completed one of my last resolutions…something about paying off credit cards. I paid off about 5 of my 7 credit cards and I feel freedom for the first time in a long while. I mean I could maintain the debt but now that it’s gone, I feel free….yes 5…don’t judge. Resolution: The ancient Babylonians made promises to their gods at the start of each year that they would return borrowed objects and pay their debts. So before you accumulate a mountain debt, enjoy your freedom, protect it, live free. It starts with changing your priorities and how you live your life. Yes we have to spend money to live, college books, tires for your car, suit for interviews, laptop, etc. There are necessities, there are, but PLEASE don’t get caught up with buying “things” that don’t give your life value. A weekend trip to the Caribbean costs more than a set of rims but at least you’re living, you’re just not in the hood looking good but “ain’t never been nowhere“. Living free takes discipline not to buy things that have no value. The blog about about slavery and money I wrote a couple weeks ago, yeah I’m still feeling that. I don’t know exactly what it is but it starts with just basic decisions to be free. That need to be free has shaped my spending and allowed me to value my decisions. Decisions about my habits, what I eat, what I watch, what I respond to, my energy, my stress….everything. I’m getting preachy but I just want you young males have the freedom to engage the world, to live free.